Professor Bloch joined the University of California Hastings College of the Law faculty in 1991. Her scholarly interests include legal ethics, legal education, and criminal law, procedure, and practice issues. She is a recipient of the Rutter Award for Excellence in Teaching and the UC Hastings 1066 Foundation Faculty Award for scholarship. In 1997, California Supreme Court Chief Justice Ronald M. George appointed Professor Bloch to the Judicial Council Task Force on Jury Instructions. As a member of its Criminal Instructions Subcommittee, she helped draft the CALCRIM instructions, which now serve as the official instructions for use in California criminal trials. Professor Bloch is an advisor to the UC Hastings Haiti Justice Initiative and is working with colleagues in the U.S. and at UC Hastings’ partner law school, L’École Supérieure Catholique de Droit de Jérémie (ESCDROJ), to help ESCDROJ establish what is believed to be the first law school in-house legal aid clinic in Haiti. Professor Bloch received her undergraduate education at Washington University in St. Louis as an Arnold J. Lien merit scholar. Before departing Washington University, she completed an M.A. in French. During her student days in St. Louis, she was invited to join Phi Beta Kappa and played on an intramural inner tube water polo team. Once in California, Professor Bloch attended Stanford Law School, where she was a Senior Note Editor on the Stanford Law Review. Following graduation and the California Bar, Professor Bloch clerked as a Court Law Clerk for the United States Court of Appeals for the District of Columbia Circuit. In that role, she had the privilege of working with a number of judges, including The Honorable Ruth Bader Ginsburg. Prior to joining the UC Hastings Faculty, she represented the People of the State of California as a Deputy District Attorney for the County of Santa Clara. In this Article, the Author explores current challenges to accessing and evaluating information about environmental risks to fetal development. She investigates these challenges within the context of the existing regulatory framework for environmental risks. 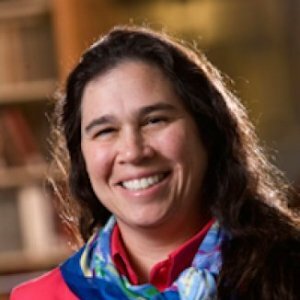 As a result of this analysis, she highlights the need for and proposes creating an independent non-profit umbrella organization-a clearinghouse-to collect, distill, interpret, and make accessible the research on environmental threats to fetal development and to apply that research to evaluating relevant U.S. policy. The Author defines broadly the research on fetal development that lies within the charge of the clearinghouse to include not only research about chemical toxicant risks but also research involving environmental risks related to criminal and social justice policies.